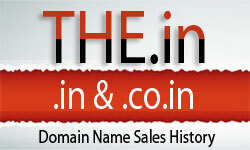 GoDaddy service still bombarding domain owners whose BIN prices are ignored! GoDaddy brokers continue to blast domain owners with unsolicited emails, whose domain names are listed with a BIN price at other marketplaces. For a full 30 days, the GoDaddy “service” attempts to lure and solicit responses from the owners of domains that are clearly listed for sale with substantially higher prices.